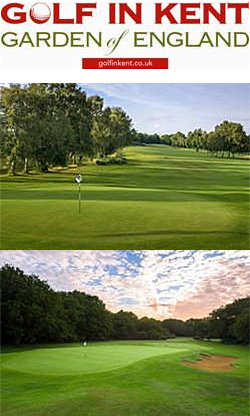 Golf in Kent is a marketing partnership that comprises of some of Kent’s finest golf courses, Visit Kent and some of the county’s best accommodation providers, namely The Lodge at Prince’s, Hever Castle and Leeds Castle. The Partnership was set up to build on the legacy of the county staging The Open Championship in 2011 and to promote Kent as one of England’s premier golfing destinations. Kent is well located for golf visitors from around the world as it is within easy access of London’s airports and has good access from Europe via the Eurotunnel and the ferry port of Dover. Visit Kent Ltd is the Destination Management Organisation for Kent (The Garden of England), welcoming 60 million visitors a year, championing the county’s £3.6 billion tourism industry and supporting more than 72,000 jobs. It is recognised as one of the country’s leading DMOs, targeting UK and overseas markets to raise Kent’s profile as a premier destination, improving quality and skills within the industry, and growing investment in tourism. Visit Kent is a public/private sector partnership supported by Kent County Council, Medway Council, district and borough councils, and the leading sector tourism businesses in Kent.